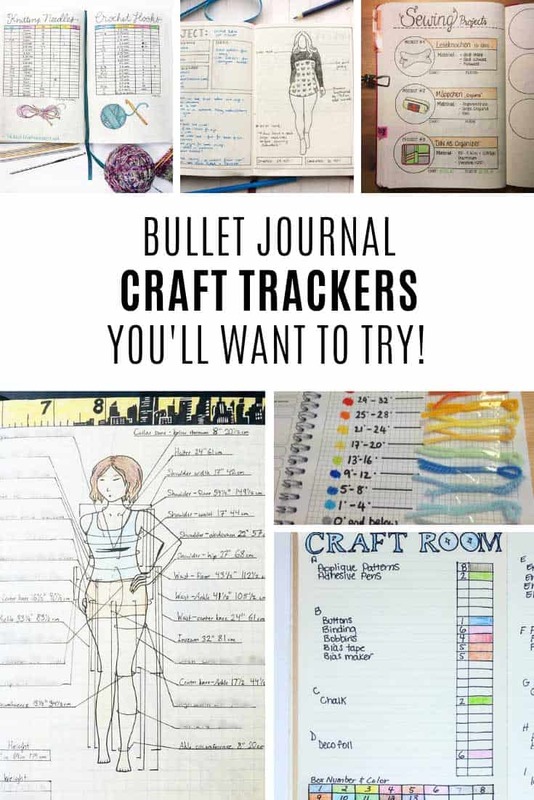 Whether you crochet, knit, sew or do some other sort of creative craft you are going to love these craft Bullet Journal tracker ideas! 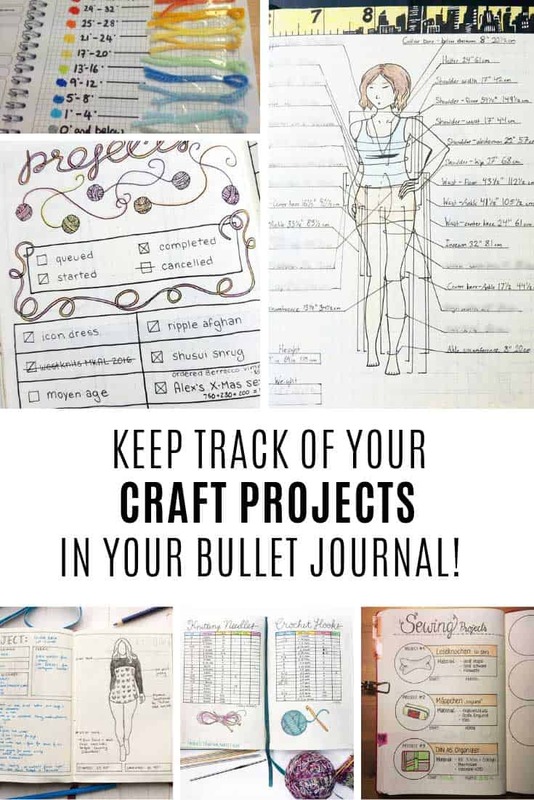 Our community is still going crazy over the collection of Bullet Journal tracker ideas I pulled together so today I thought I’d bring you some more. 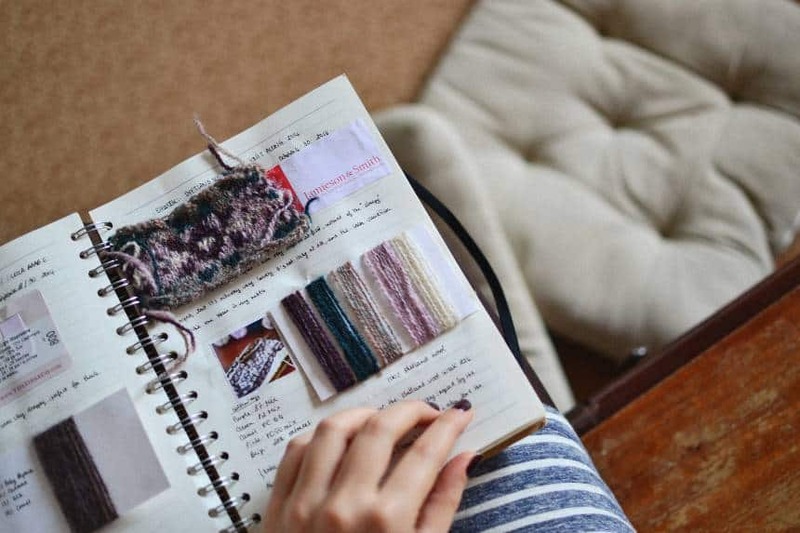 This time it’s a collection of craft Bullet Journal tracker ideas, which is just what you need to keep track of your knitting, sewing and crochet projects! 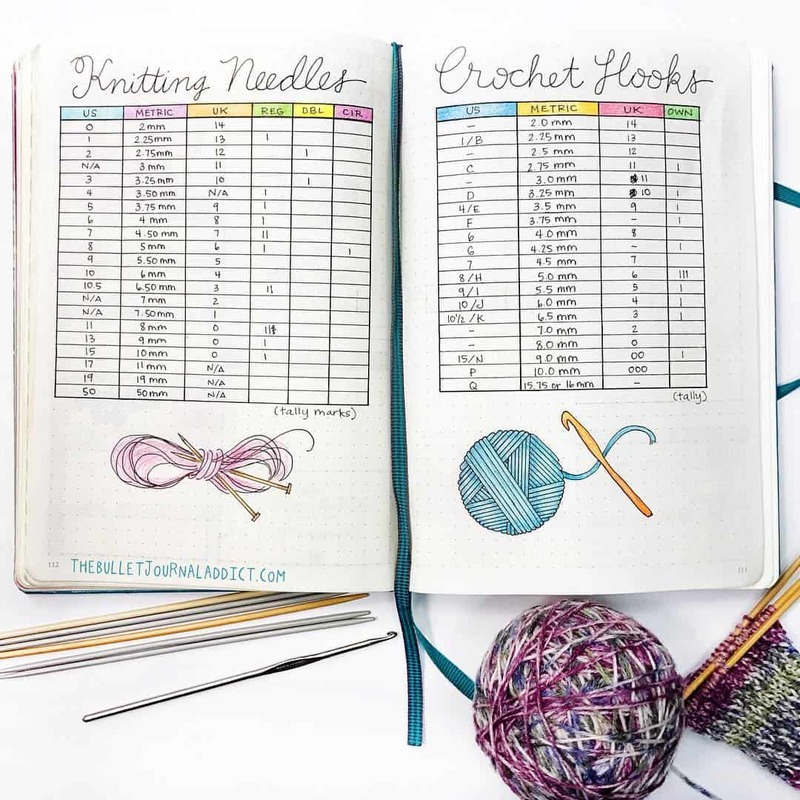 I love this crochet hook and knitting needle tracker because not only does it have a handy conversion chart but there’s also a column for keeping track of how many of each one you already own. 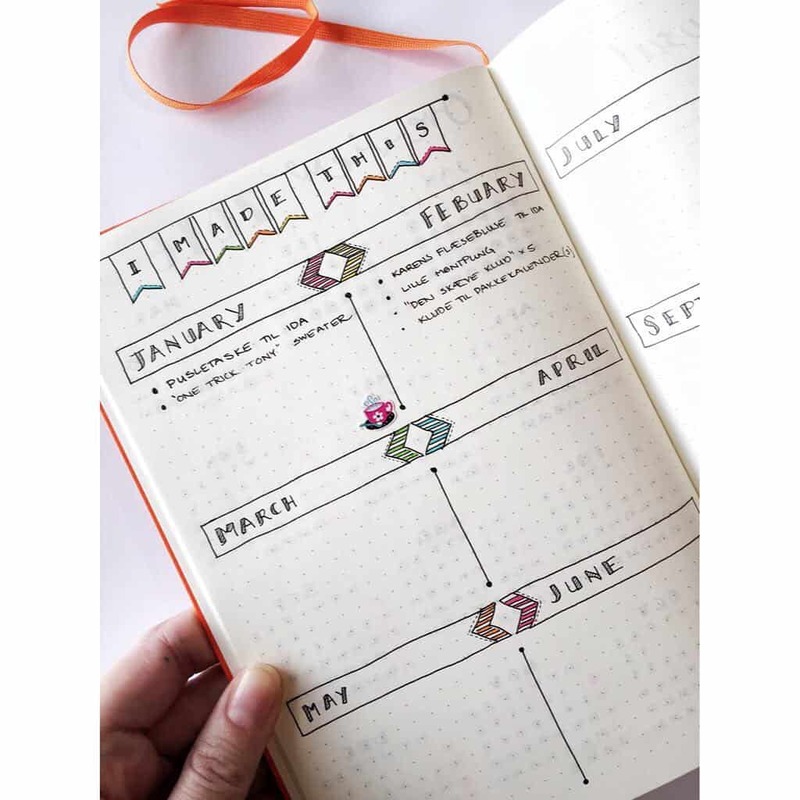 This overall project tracker index is a great way to keep track of how many projects you completed each month and what they were. 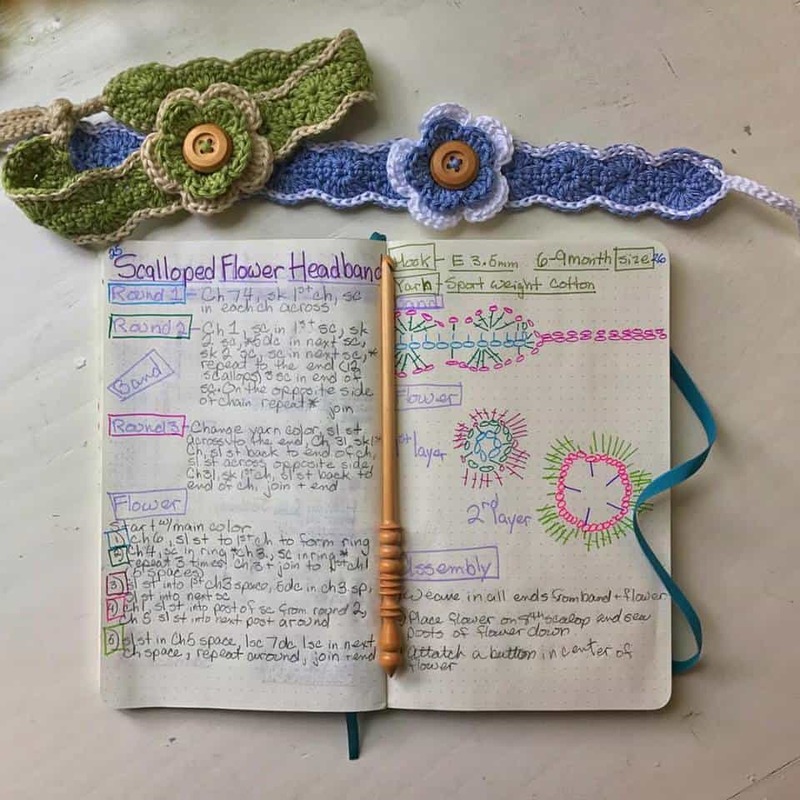 I love this idea of including your gauge swatch, pieces of yarn and the labels in your Bullet Journal. This is especially useful if you’re making something to give away or sell so that you have the information if you ever want to make the project over again. 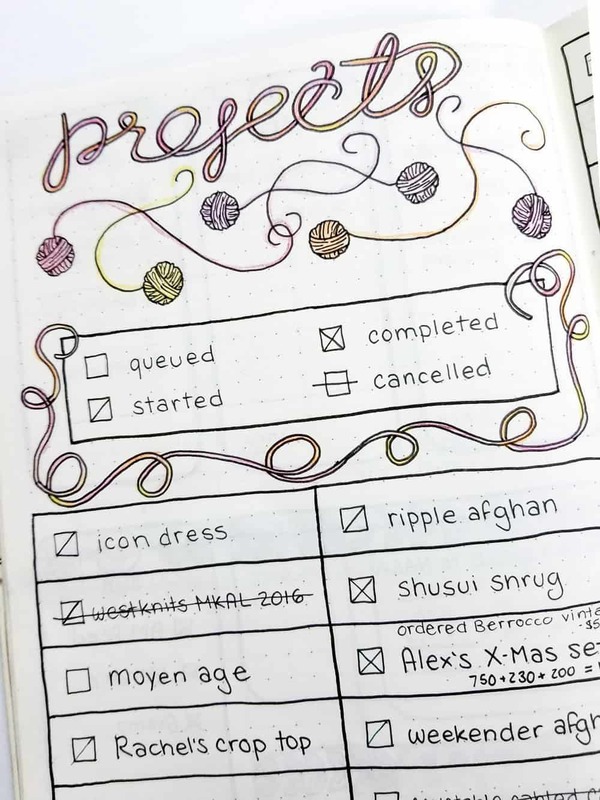 You can use your Bullet Journal to keep track of your Work in Progress, because there’s not many people who don’t have more than one project underway at once right? Keeping a note of the materials needed is a good way for you to make sure you have everything to hand. 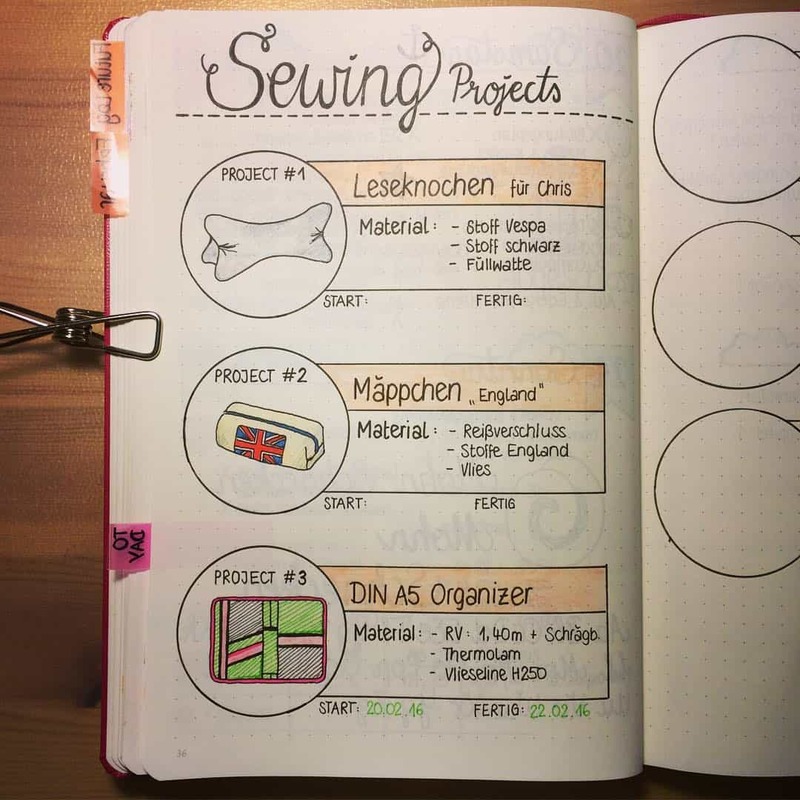 This is the spread that Suzie created to keep track of her sewing projects. You could use this layout for any craft project though. 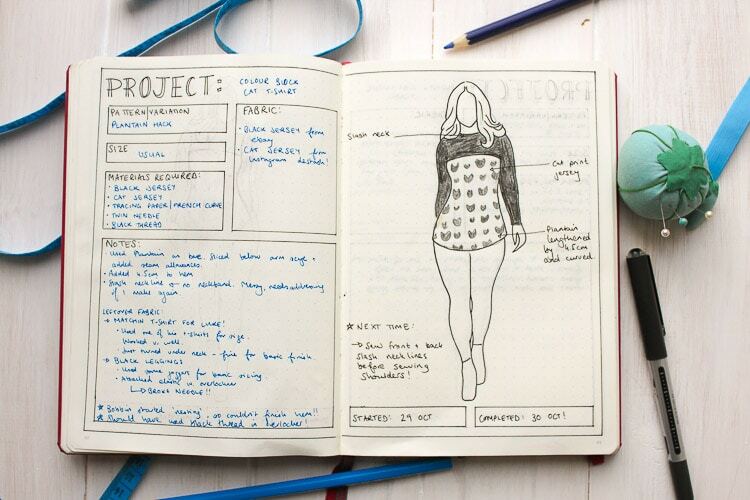 Include a sketch of the item you’re making, or if its from a pattern you could paste in a photograph instead. If your craft stash is overwhelming and you can never find what you need (or keep buying the same things over and over) why not take some time out to get organised. 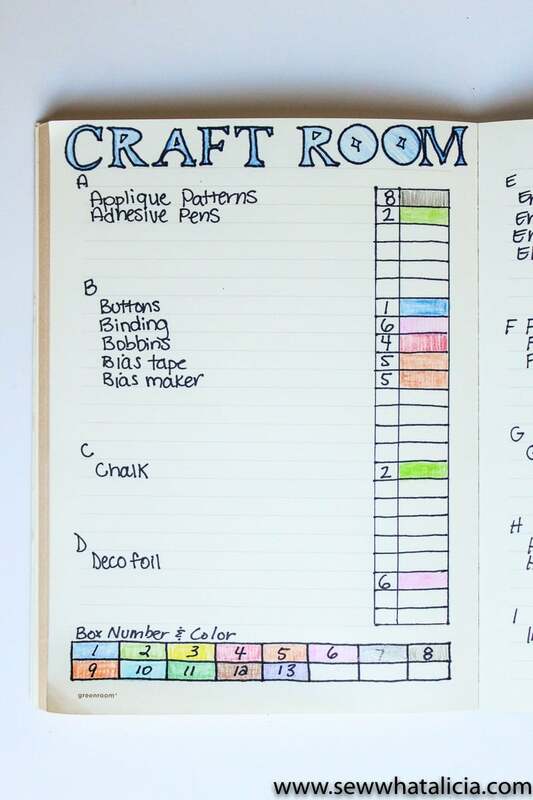 Alicia designed this tracker for her Bullet Journal so she knows exactly what she has in her craft stash, and more importantly which box it’s in! 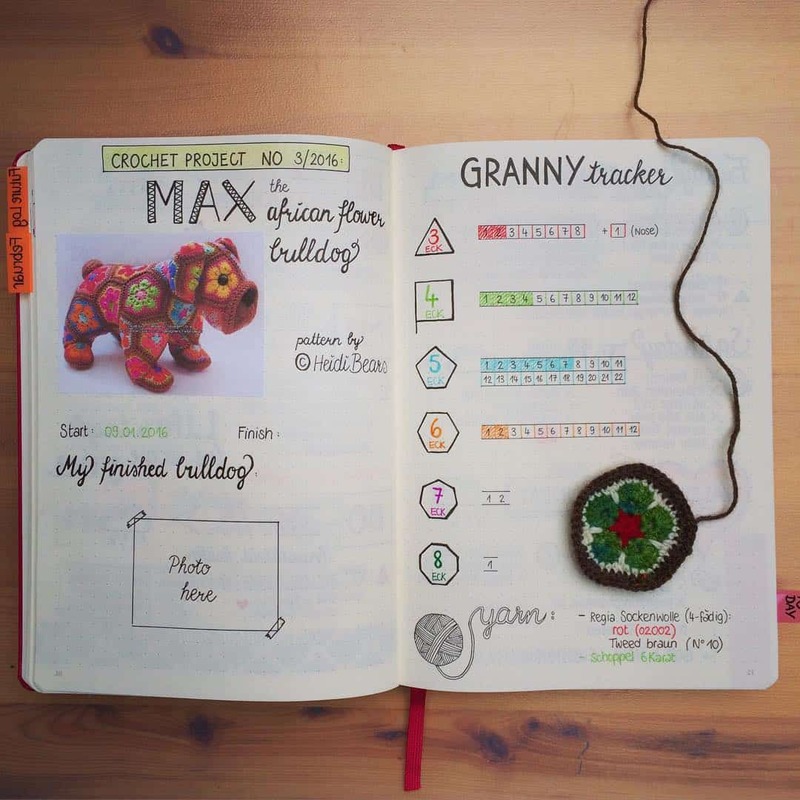 This is a great layout to copy if you are crocheting a granny square project. The simple tracker on the right will help you keep track of how many squares you have made. I love how Mary has an image of the project she is making and has room to put a photograph of her own Max the African Flower Bulldog when he’s done. 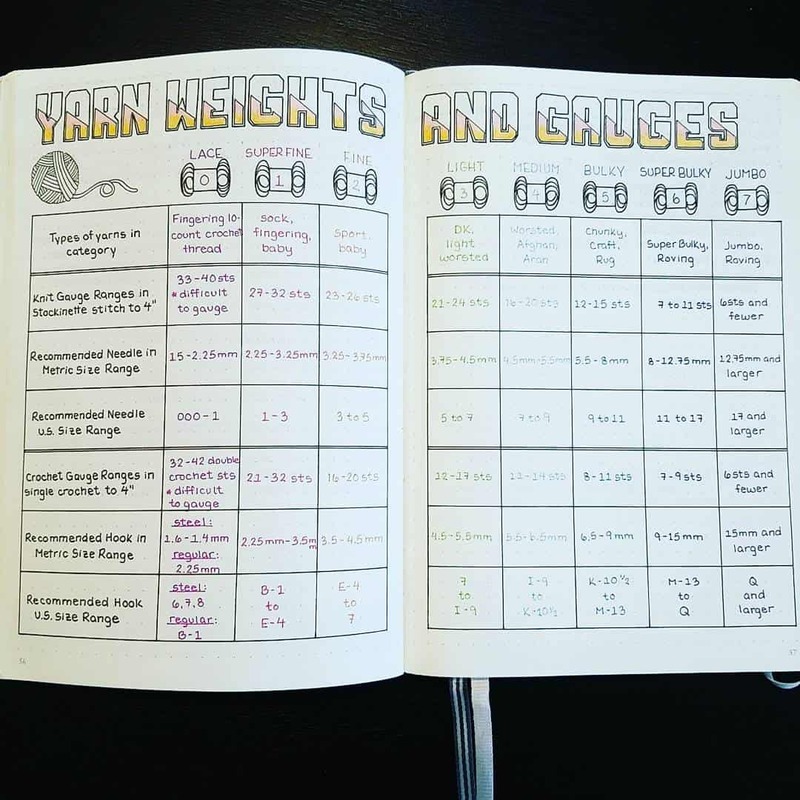 If you can never remember which size hook or needle to use with which yarn weight then you need one of these trackers in your BuJo! Here’s the information you need to complete the table just in case you can’t see it clearly on the image. 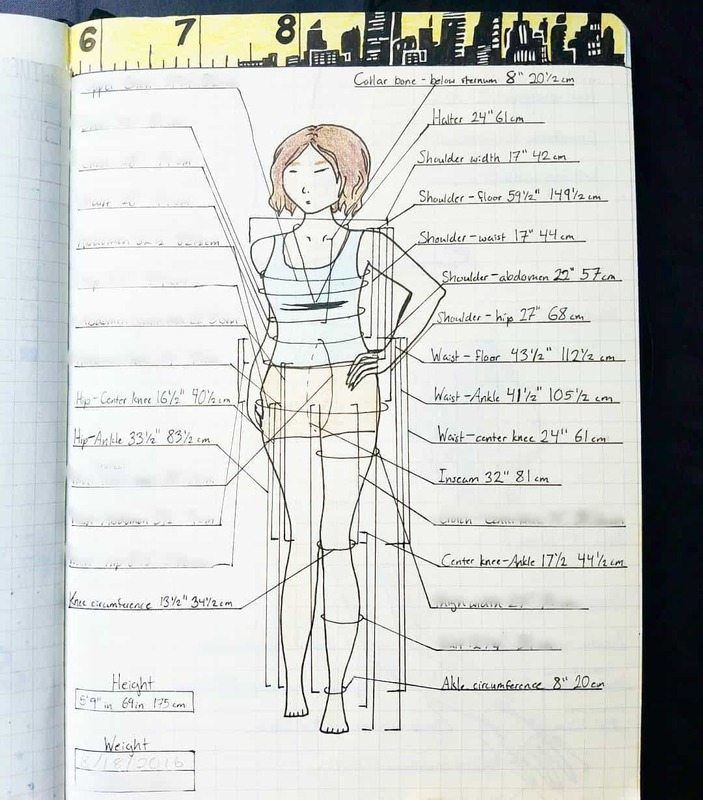 If you enjoy making clothes for yourself or your loved ones keep track of their measurements in your Bullet Journal so they’re right there when you need them. You could also keep track of your favourite blanket sizes. 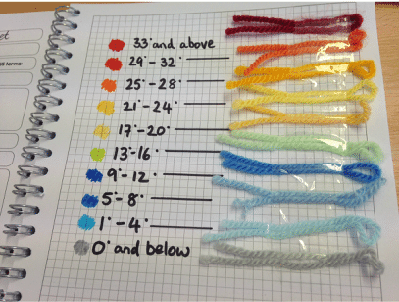 If you are working on a crochet project take the time to map out your stitch diagrams along with your other project details so you have the pattern right where you need it. 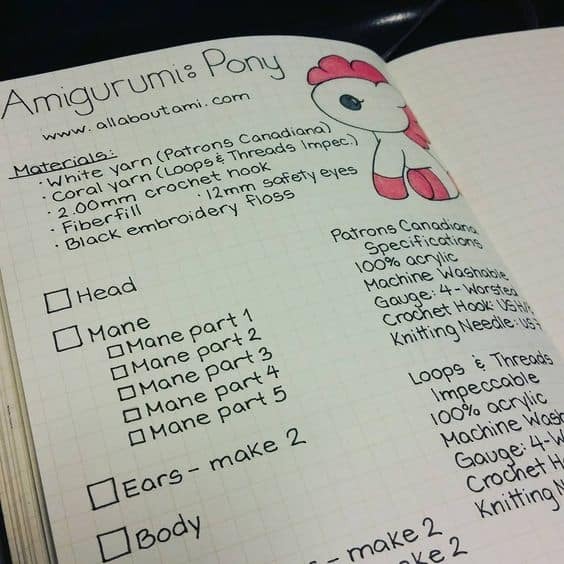 Whether you’re working on an amigurumi crochet pattern or any other project that has a series of steps keep track of them with a handy checklist like this one. If you’re like me and lose track of which row you were working on adding a row counter tracker to your BuJo is a really good idea! Previous PostPrevious Chicken Meal Prep Bowls that Will Help You Get Through the Week!